Object-based surround sound technologies like Dolby Atmos and DTS:X are becoming more common in A/V receviers, adding a new dimension — height — to sound, but so far they have been largely restricted to receivers with higher channel counts. On Thursday, Pioneer unveiled the first of its 2017 A/V receivers, including one 5.1-channel model that will offer Dolby Atmos and DTS:X support. 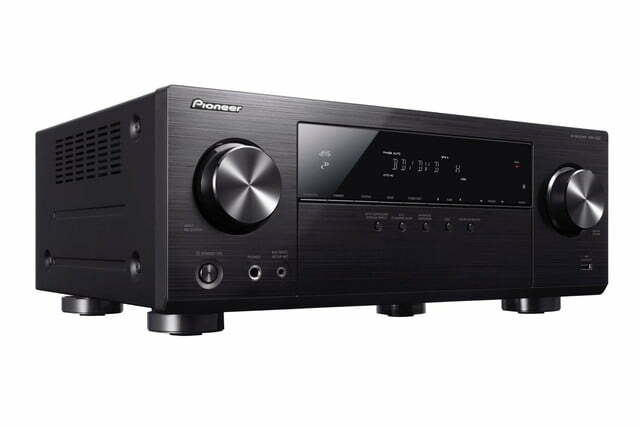 Out of the box, Pioneer’s new VSX-832 Network A/V receiver will operate as a standard 5.1-channel receiver. Pioneer plans to add support for Dolby Atmos and DTS:X via a firmware update that’s expected to arrive this summer. Once the update arrives, the receiver will offer 2.1.2 and 3.1.2-channel configurations, providing the added immersion that height brings without the need for rear or overhead speakers. The surround sound isn’t the only feature often found only in higher-end receivers that the VSX-832 offers. In addition to 4K Ultra HD and High Dynamic Range (HDR) passthrough, the VSX-832 will support Dolby Vision, a first for Pioneer’s A/V receivers, and something still not seen in a large number of receivers currently on the market. Wireless multiroom audio is increasingly becoming a must-have feature in A/V receivers, and the VSX-832 has it covered. Both DTS Play-Fi and FireConnect are supported, meaning plenty of wireless speakers and other devices will be compatible with the receiver. Standard networking features like Wi-Fi, AirPlay, and Bluetooth are available alongside integrated streaming services such as Spotify, Pandora, Deezer, and Tidal. For those who don’t need all the features of the VSX-832 or are looking to spend a little less, the VSX-532 offers solid surround sound with a more basic feature set. 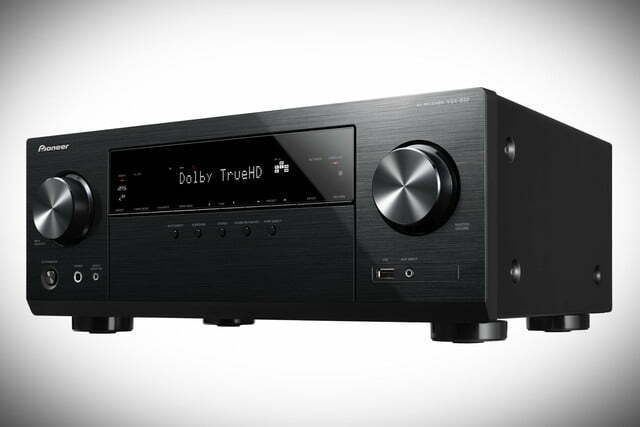 Dolby Atmos and DTS:X aren’t supported, nor is Dolby Vision, but the receiver does offer passthrough for the more common HDR10 standard, as well as Bluetooth connectivity. Both the VSX-832 and VSX-532 feature Pioneer’s Multi-Channel Acoustic Calibration System (MCACC) and an included microphone for easy setup and calibration. The Pioneer VSX-832 will be available in April and will sell for $500, while the VSX-532 will be available in the next few days for $380. For more information on Pioneer’s 2017 lineup, see the company’s website.